Recently, Ukraine’s Infrastructure Ministry inaugurated its first train to China. That train was supposed not just to take to the Chinese the best products made in Ukraine but also to spoil Putin’s plans to lay a new Great Silk Road via the territory of Russia. But the train failed. It first got lost in Kazakh steppes and then had to find money for further transit. As a result, it arrived a few days behind the deadline and spent much more money than it was supposed to. So, the Ukrainians’ plans to slap the Russians in the face failed and they forgot the train. Over the last two decades Ukraine has lost much of its heritage – almost everything that could make it a civilized country. Most of the European nations would dream of having what the Ukrainians had before Aug 1991: developed industry, profitable farming and cattle breeding, high-tech productions, own spacecraft and aircraft building, good science, good education, health care and social security, growing population. Today, they have almost nothing: mostly literate population (after all, the Ukrainians should be able to read the names of the products they buy and to understand what their western employers tell them). 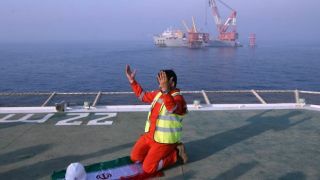 They still have something left in their industry and energy sector. They are still sowing some wheat but it is not as good as it was before. As a result, they can export their grain only to Asia. They in Europe refuse to buy it. One more benefit Ukraine still enjoys is its status of a transit country between Europe and Asia but it may also be lost. This is hardly a spontaneous action. Here we see one hand and one national task. In Jan 2016, the Russians and the Poles failed to come to terms on this year’s permits for transportation companies. The Russians required higher responsibility for broken rules, the Poles required lower fines and larger quotas for their long-haul truckers. As a result, on Feb 1 the truck traffic between the countries stopped. So, it would be more logical to expect such a blockade from the Poles. What sense does this blockade have for the Ukrainians? Why didn’t they just use this situation with the Poles? They could have organized transit via their territory to Slovakia and Hungary, couldn’t they? Don’t they need some extra money in their budget? As a result of this blockade the Ukrainians are losing several tens of millions UAH a month and are also spoiling their image of a responsible and reliable transit country. 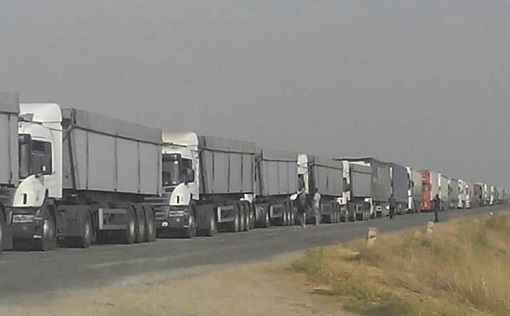 Instead of meeting its obligations under the agreement on international motor service with Russia, Ukraine has blocked all roads for Russian trucks in its territory. The motive is that Russia has also started to block Ukrainian trucks in its territory. Why do they need this all? In fact, they have sacrificed all of their economic and legal preferences for something else – or somebody else. The question is Cui bono? Cui prodest? Even though Poland and the Baltics are parts of the EU, they are also NATO members and are strongly pro-American. Today, the Americans need tensions between the Europeans and the Russians. So, its satellite, Ukraine, came in quite handy. In fact, it helped them to cause economic damage to both Europe and Russia. This may throw Europe back to the Middle Age when every province there had customs offices. So, what Schengen Agreement are you talking about? Today, Ukraine is moving towards feudalism rather than Europe.